Ten years of starts and stops, ten years of promises made and broken, and ten years of "zzzzzzz" all ended today. The DC Council just now gave final approval to B20-805, the District of Columbia Soccer Stadium Development Act of 2014, which authorizes the Mayor to assemble the land for the soccer stadium and gives the terms by which the District will lease it to D.C. United. There are no longer any promises to break, only law on the books. Having been here all along, United will finally have a place to call their own. 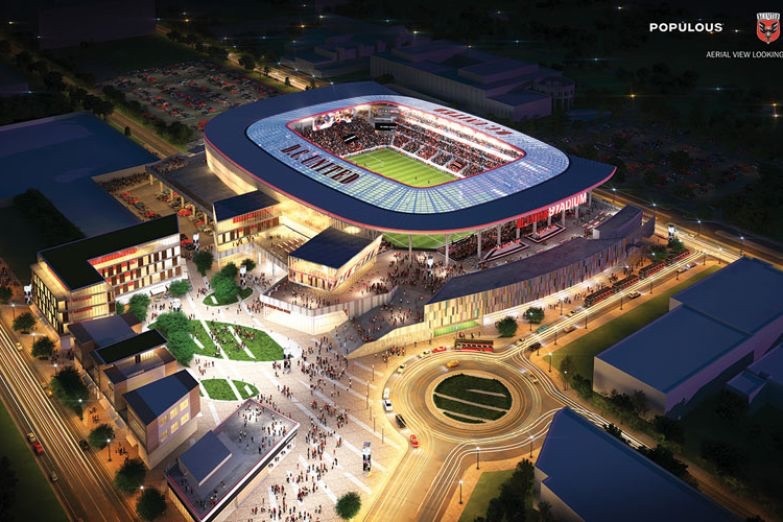 The passed bill is structured in three parts: an introduction about the purpose and benefits of building a soccer stadium on Buzzard Point, amendments to the development agreements D.C. United ad Vincent Gray signed last year, and amendments to D.C. United's current lease at RFK Stadium to make it applicable to the new stadium. If you want to read all the nitty gritty details, you can find the version passed on December 2 on the Council's website; the Council did make some minor adjustments in the language to clarify certain things, but it is almost exactly the same. Mendelson then moved the stadium funding to immediately after the plan vote, and we will update this post with that result.